1) This song refers to the summer breezes and winds of mid-July. Now that July is almost over, how would you describe this month's weather where you are? 2) The lyrics mention the "perfect plans." Do you have plans for today? Or will you just let this summer Saturday unfold? 3) This week's artist, k. d. lang, attended Red Deer Community College in Alberta. Red Deer's school colors are green, black and silver. What were your school colors? 4) She had a bit part in the 2006 murder mystery The Black Dahlia. Do you enjoy murder mysteries? 5) Ms. lang is a vegetarian. What's the last beef, chicken, pork or fish you ate? 6) In 2000, when this song was released, California suffered a series of blackouts. Has your power gone out this summer? 7) Harry Potter and the Goblet of Fire also came out in 2000. 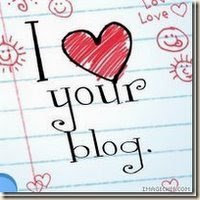 Did you read it? 8) Which would you rather have on your hot dog: sauerkraut, ketchup/mustard/relish or chili? 9) If you had your choice, which would you prefer: new shoes or a new wallet? 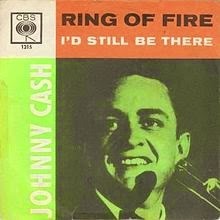 1) Recorded by Johnny Cash, "Ring of Fire" was written by his wife, June Carter. Johnny's daughter Roseanne says it's about "the transformative power of their love." What's your favorite love song? 2) Though more than 50 years old, this song is still popular today. Country Music Television named it one of the best and most requested of all time. Are you a country music fan? 3) This recording features mariachi horns, inspired by Mexican folk music. Have you ever been to Mexico? 4) Cash's birth certificate said, "J. R. Cash," and "J.R." is what his parents always called him. When he enlisted in the Air Force, Uncle Sam refused to let him simply go by initials, so he chose the name "John." If you could choose a different name for yourself, what would it be? 5) Cash and his first wife, Vivian, had their first date at a roller skating rink. Tell us about one of your first dates. 6) Cash died in September, 2003, four months after he lost his second wife, and love of his life, June. The cause of death given was complications from diabetes, but his children believe he died of a broken heart. Do you think that's possible? 7) Cash was known as "The Man in Black." What color do you wear most often? 8) There's a Johnny Cash Museum in Nashville. What's the last museum you visited? 9) A stretch of Tennessee Highway 31E is known as "Johnny Cash Parkway." What street in your town is named for a famous person? 1) Eagles lead singer Glenn Frey proclaims that he's "feeling strong." How would you describe yourself this fine Saturday? 2) The song begins with a rumor: "I heard some people talking just the other other day ..." Have you heard anything juicy/interesting lately? Please share! 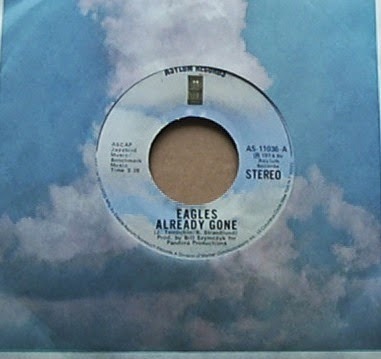 3) When "Already Gone" was popular, the news was dominated by Richard Nixon and the Watergate scandal. What do you consider today's top news story? 4) In the 1970s, Eagles Glenn Frey and Don Henley were at the center of a social circle of very creative people, including singer Linda Ronstadt, singer-songwriter Jackson Browne and actor-comedian Steve Martin. How do you express your creativity? 5) Even though they broke up in 1980, the Eagles are currently on a reunion tour, and after knowing each other more than 40 years, Frey and Henley still consider each other friends. What quality to do you value most in a friendship? 6) Are there any mirrors in the room you're in right now? 7) What's the last beverage you drank with ice? 8) Whole, skim, 2%, half-and-half, almond or soy ... what kind of milk is in your refrigerator right now? 9) Sam likes to mix sliced almonds into her salad. What do you think makes a good salad? 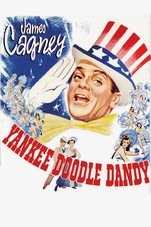 1) This week's song was performed by James Cagney in the famous movie of the same name. Do you plan on going to the movies this holiday weekend? 2) Though known for his larger-than-life screen presence, Cagney was only 5'5". How tall are you? 3) During the Revolutionary War, General Washington celebrated the 4th of July by giving his troops a double ration of rum. Will you imbibe any spirits this holiday weekend? 4) American history was one of Crazy Sam's best subjects in school. In which class did you earn your best grades? 5) The Fourth of July means we're in the middle of summer. Are you careful about applying sunscreen? 6) Mosquito bites can be a major summer annoyance. Are you scratching any itches right now? 7) Emergency rooms report an increase in wrist injuries in summer, with people falling off bikes and skateboards and jamming their wrists catching hard-hit softballs. Have you ever had a sports-related injury? 8) New York is home to Nathan's Hot Dog Eating Contest every year on the 4th. Will hot dogs be consumed in your household this weekend? 9) Atlanta hosts a 10K Peachtree Road Race every 4th of July. Are you a runner?